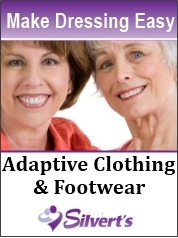 With increasing awareness of the need for more wheelchair fashion choices, adaptive clothing manufacturers are providing people who use mobility chairs with more wardrobe options than ever before. That means you don't have to settle for a closet filled with ill-fitting or unattractive clothing. Looking good means feeling good. What you wear reflects your personality, so it is important to buy clothes that you like and enjoy – so you can look and feel your best. It is also key to have clothing choices that make getting dressed and undressed easy. Bodies change when people spend time in wheelchairs so standard clothing can gap and bunch in the wrong places. Of course, clothing off-the-rack does not take wheelchair fashion into account. 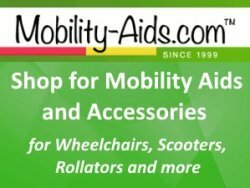 Fortunately, some retailers have realized wheelchair clothing is a specialized, growing need. 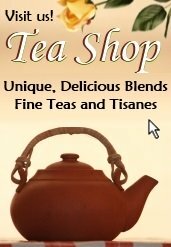 Clothes made for wheelchair users can be found on the internet, through mail order companies, and in specialty clothing stores. And you can find wheelchair clothing from casual to formal in style. Many types of clothes for wheelchair users come with Velcro instead of zippers or buttons. 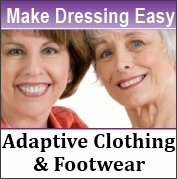 These easy-on and easy-off outfits are perfect for people with limited mobility and/or who rely on the help of a caregiver to get dressed. Buy short coats and jackets; otherwise you sit on the coattail. Short capes and ponchos are easily slipped on. Wear loose fitting, longer skirts; tight garments look short. Separates are useful and better than a dress; buy tops, matching jackets, trousers, and skirts. Jogging outfits are attractive and can be worn many places. Stretchy fabrics, such as knit, move and give. Elastic waistbands in front-pleated trousers make dressing easier. Keeping these points in mind when you are on your shopping spree will make it easier to find comfortable, trendy clothing styles that will make you feel good about yourself and make others take notice.